Happy New Year!! 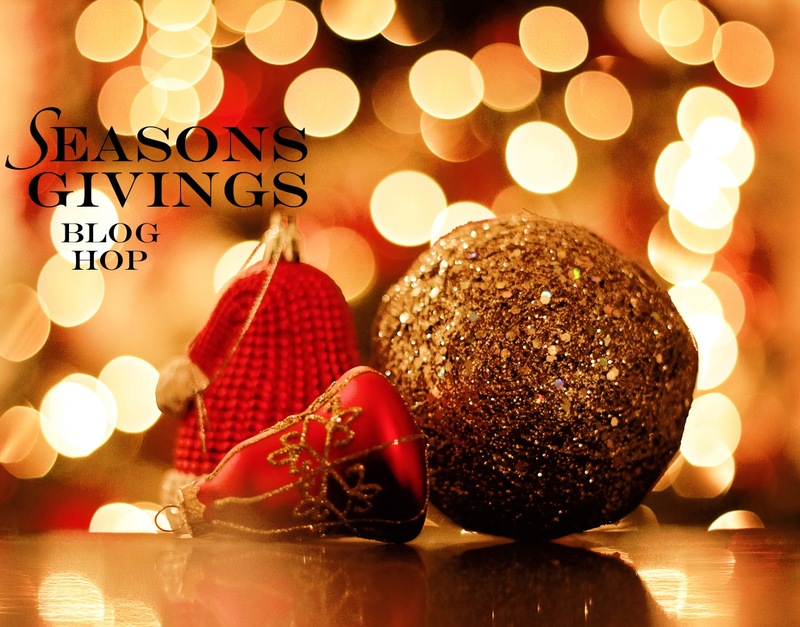 I am SO excited to be kicking off the new year by participating in the second annual Season's Givings Blog Hop! You should have arrive here from Stephanie Muzzulin's blog! If you're hopping along and you're just stopping by for the first time, let me say WELCOME! I'm so glad you're here :) :) If you're a regular follower who's just stopping by then be sure to check out the hop list and visit ALL of the amazing blogs along the hop! This awesome hop was started as a way to say THANK YOU to our amazing followers for all your love and support throughout the past year. And what better way to say thank you than with giveaways?! That's right my friends, there's a giveaway at EVERY stop along the hop! Holy moly that's a lot of crafty goodness! As you all know, the holidays are a crazy busy time for all of us, so I apologize but I didn't whip up a big shiny new project for you guys :( BUT I thought it would be fun to do a little year in review! First, if you're just meeting me, I'd love if you'd stop by my very first blog post this year and read a little about me. NONE of these things would have been possible without YOUR support! Ok sweet friends, I HOPE that makes up for my lack of a new card!! Now who's ready for the giveaway?! I have a big bundle of UNITY goodies for you!! Simply leave me a comment and I will choose a winner on Monday January 6th! and my design Facebook page! Alright sweet friends, it's time to hop on over to Christiana Reuling's blog! PS. Here is the full hop line up in case you get lost! 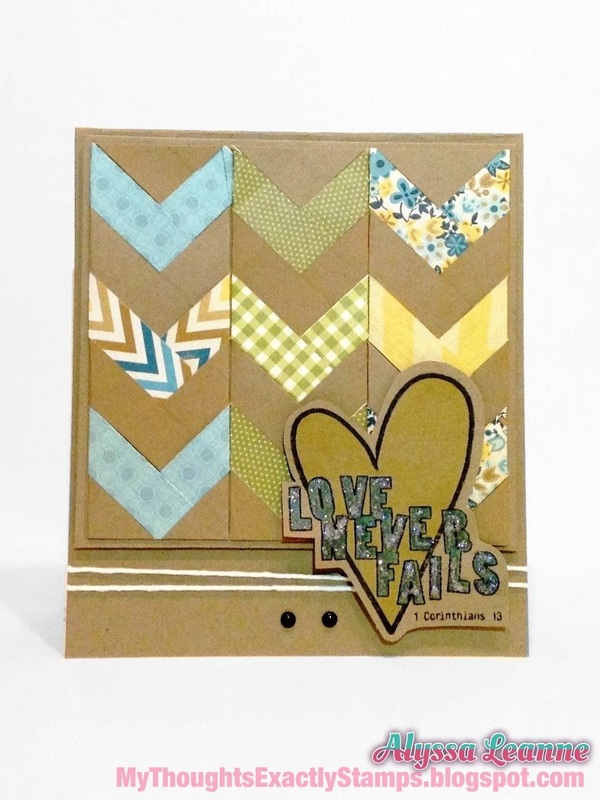 Really love your Love Never Fails card!! Congrats on all the great events of the past year....and may 2014 hold even more wonderful moments!! How lovely of you to offer such wonderful blog candy. You did not try to twist our arms into becoming followers in order to be eligible (which I GREATLY appreciate! ), but I am a brand-new follower by Google Friend, nonetheless. Yippee!! I just love the vibrance in your cards. The colors just pop. Beautiful work. I love your cards, there's no doubt bout that. You are creative and inspiring. I read your first blog post and feel such admiration for you and how you have overcome and moved forward.Thank you for sharing you story and being an inspiration. Happy New Year! Happy New Year! I am now a new follower of your blog - your cards in review reeled me in. I love the mix of styles you use. And your story that you shared is amazing - congratulations on all of your happiness and success in 2013! I really admire people who share how they've overcome challenges and stay so positive. Best wishes to you in 2014!!! What a fun filled crafty year for you! Thanks for sharing all your wonderful projects!! Happy New year!! Happy New Year! OMGosh you have been through so much for such a young person! I like both FB pages and hope to see you there as well as bloggy land. LOVE your fabulous creations and designs. I'm also following your blog. Thanks so much for the chance to win! Great projects!! Happy New Year! Also, could you update my blog link to http://bethpingry.com - thanks! Great cards and thanks for the chance for Unity Stamps! Love the recap of your year in cards. You do beautiful work! Thank you for sharing and happy new year to you. I really could use a fun win right about now. This blog hop is a blast! Great to "meet" you! Thanks for the chance to win! Beautifully designed cards! Happy New Year! LOVE your favorite cards! And thanks for a chance to win a super fun giveaway! Happy New Year!!! What fabulous cards! Thanks for the chance to win this super prize pack! Cute, Cute, Cute...I am glad I found you!! I really like your cards!! Thanks for sharing your story too! Have a great new year!! What darling cards. Happy New Year and thank you for the chance to win your prize pack. Gorgeous cards! Thank you for the giveaway! The cards are all so nice. It was hard to pick a favorite so I'm not even going to try. thanks for sharing. Wonderful cards! Happy New Year! 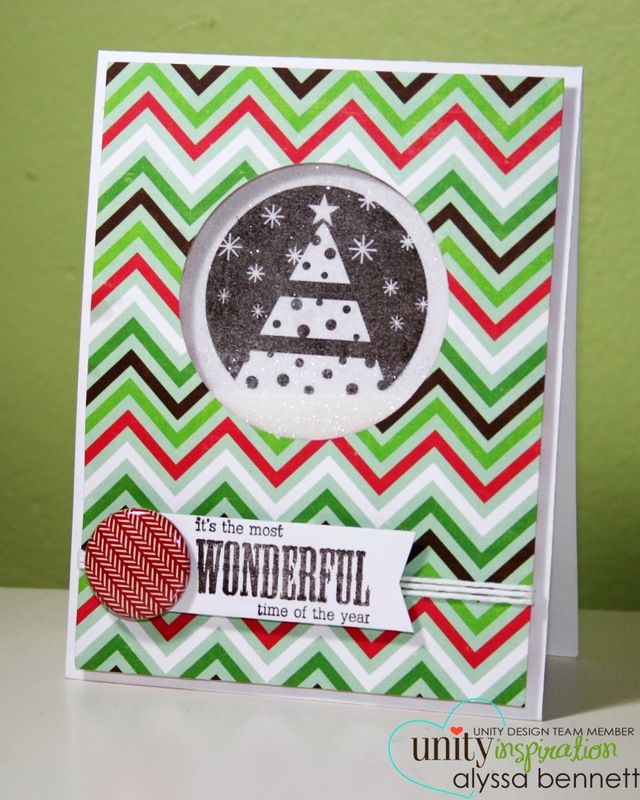 Thanks for posting a recap of your cards from 2013!! You are VERY talented!! This has been such a TERRIFIC blog hop! The VERY BEST I have ever followed. THANKS for the inspiration and looking forward to following you in the future! Happy New Year! I love how bright and cheerful your cards are. Gorgeous work. The Blog Hop is a wonderful idea. Your cards are amazing. Your giveaway is amazing and thank you for the chance to win. Happy 2014! I love your beautiful blog and your fabulous projects. I just added your blog to Feedly. happy new year! Great prizes. Love your card. Happy New year! I'm a new follower and love your cards. Thanks for sharing and the chance to win. Happy New Year! love your designs! Hope you have a happy new year. Thank you for a chance to win. Love your designs! Thanks for the chance to win, this is such a fun hop! You have got a lot of talent! Looking forward to seeking more of it. Love your cards especially the wreath card! Fantastic cards, such great fun designs. Happy New Year and thank you for the chance to win your awesome giveaway. Oh, what adorable cards love the colors too. Thanks for a chance to win and Happy New Year. Wow wonderful cards...love the stamps you used and the many masculine cards. Wishing you a healthy and happy New Year! jeandonny2000 at hotmail dot com. happy 2014 and thanks for participating in the hop. Thanks for the chance to win this generous prize! Have a Happy New Year! Enjoyed your cards. Happy New Year! Happy New Year to you and your family. I love the year in review. no need to always have a shiny new project. Thanks for sharing. First time visiting you Alyssa, love your designs and the nice pretty colors!! Happy New Year! Thank you for your inspiring blog. Having discovered you in this blog hop I will now follow you through 2014. May 2014 be all you want it to be and more. Your work is beautiful! Happy New Year! I'm new to your blog and I loved all of your cards! I also love Unity so thanks for the chance to win!! Awesome recap of your cards.....I am a Unity lover myself...have a happy new year!! Thank you for the chance to win! Happy new year to you! Thanks for a chance to win. Happy New Year. Love your cards, have added you to feedly, so I can come back later for a long slow browse. 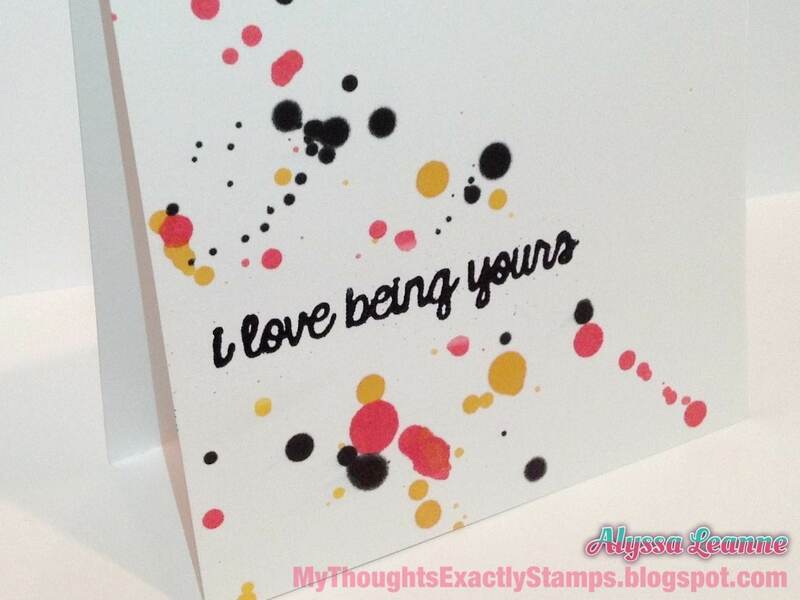 I enjoyed reading your blog - great cards! thank you and happy 2014! Lovely wreath! Thanks for sharing :) Happy 2014! Congrats on the your awesome 2013! Cannot wait to see what you have in store for 2014! Love your cards: each one is unique and awesome! Your cards are absolutely wonderful! Gorgeous! Happy New Year!!! Thanks for this great giveaway! Great cards! Thanks for the chance....Happy New Year! Here is to a happy, healthy and blessed new year! Thanks for the chance to win such fantastic product! Beautiful cards Alyssa. I love your style. Blessing for you in the new year. Wow, I love your talent and such cute cards. Sounds like you had a wonderful year! Good for you. Love your giveaway. Thanks for sharing with us and giving us a chance to win. Wow! What a fun bunch of cards! I can see you definitely love bright colors. I LOVE your superhero card. It's super cute and a great idea. Thanks for the chance to win a great prize package. This has been such a fun blog hop! 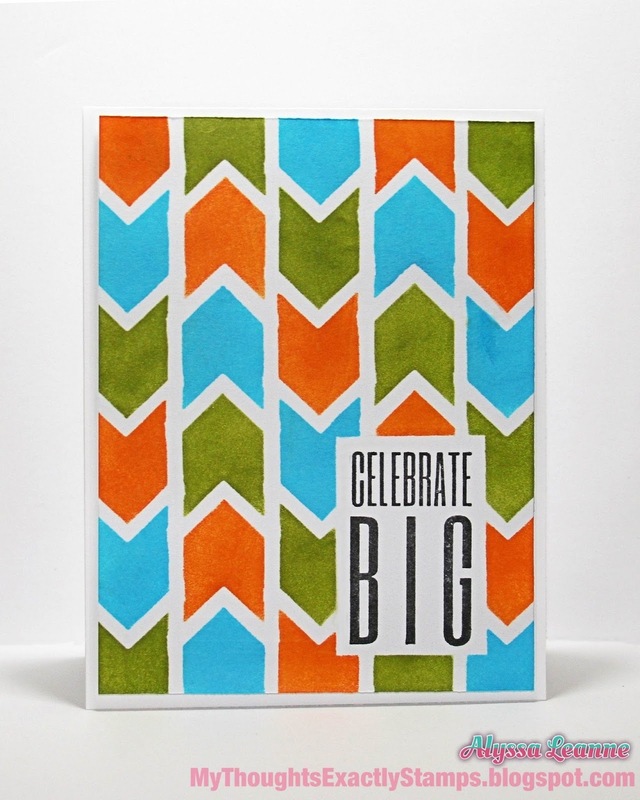 I love the card with the background in grey and yellow...and the one with the big chevrons! Your style is very inspiring! Thank you for a chance to win! This has been a really fun and inspirational blog hop. Thanks for the giveaway. This blog hop is insane. Love the cards. Great group of cards! Thanks for the chance to win. Thanks for the opportunity and Happy New Year to you and yours. Yeah!!! Another great year of crafting!!!! Thank you for the give away!!! Happy New Year. What a wonderful treat from all you bloggers. So many beautiful creations and a chance to win a prize. OMG! I love your cards! I've def found a new blog to follow here. I also LOVE Unity Stamps so thanks for the chance to win! Thanks for the opportunity to win!! Happy New Year!!!! Happy New Year Alyssa! Thank you for sharing your beautiful cards. Thanks also for the chance to win some fabulous prizes. May you be blessed with good health and happiness in 2014. Happy New Year!! Great prize package! It's been so much fun hopping through all the blogs. Thanks for sharing!! You are all such talented ladies!!! Happy New Year and thank you for the chance to win your prize package. I just LOVE your fabulous cards! I am going to start following your blog right NOW! :D Thanks for the chance to win the incredible prize, too. I loved seeing your year in review! Happy New Year and thanks for the chance to win a great prize! You have had an incredible year! You inspire me! Hi Alyssa...so happy to meet you and what an inspiring story you tell. How wonderful that you have landed on your feet and are starting fresh....and here's to a 2014 full of good things! Fabulous cards! You have such an amazing use of color, textures and design! I really like the super hero birthday card...how fun! Wishing you nothing but the best in 2014! Love the cards! You have done a great job this year! Keep up the great work! This is my first time to your blog! Gorgeous creations! I have liked you on fb and I am going to add you to my bloglovin! Happy New Year!!! 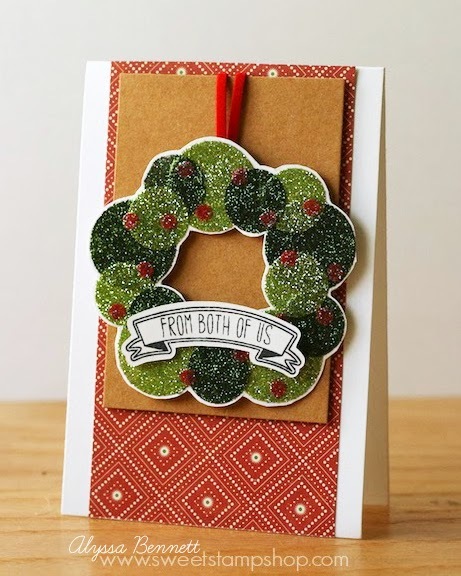 Love that Xmas card with the wreath! First time I have been to your blog. I have discovered so many new bloggers & crafters on this blog hop. It's been so much fun. Thank you for your generous giveaway. May 2014 be a healthy & prosperous one for you. Such awesome cards! :) I'm following your blog now, so nice to meet you! Happy New Year! Such fun cards! Liked them all! Best wishes for the new year. Happy New Year and thanks so much for the opportunity to win! Happy New Year what a way to start it out. The cards are wonderful, a little different but so nice. TFS the projects and the great giveaway. you can contact me at my blog. I love the cards you made. I'm glad I became a follower. I look forward to all that you will create in the new year. I like your style of cardmaking. Thanks for the chance to win. Happy New Year! Thank you for the opportunity to win the Unity goodies. Wishing you all the best in 2014. Love your cards lots of inspiration! Thanks for the chance to win! I am a new follower - sounds like you have some great things planned for 2014! Thank you for the opportunity to win such a nice prize pack and I am looking forward to more inspiration in the coming year! Super cute cards. I Like your FB page and follow your blog with Google friend connect. Very nice card creations! Thanks for the giveaway! You have had a busy year with all your achievements. Congratulations. I really enjoyed seeing your favorite designs from 2013. Thanks for your participation in this hop. Love how your cards are so full of color! Hope you have a wonderful and successful 2014! Thank you for the chance to win! Great collection of cards!! Thanks for you generosity! Happy 2014! My first time here, I will be back! You are a true artist! Thank you so much for the chance. Happy New Year! I will be back for sure!!! Love your creations! Happy New Year! Great accomplishments!! Love all your cards...I think that shiny wreath is my favorite!! Happy New Year! Beautiful designs. Thanks so much for sharing. This is the best blog hop ever and certainly very generous. The best part for me, however, is finding new blogs and seeing more of the great talent that is out there. Everything I know about paper crafting, I have learned from the great bloggers who are willing to share their talent and expertise. Thanks so much for all you do. Fantastic cards! New to your blog, but I love it already. Thanks for opportunity to win! Alyssa, I'm your 100. follower! I love your card style, all these cards are fantastic creation! Thanks to all you bloggers who continually offer fresh inspiration to the rest of us. I appreciate all of you. Thank-you so much for sharing your talent with all of us who use your talent to inspire us! May you have continued success in 2014. Ok..so thankfully through this ginormous and wonderful blog hop I've come across alot of blogs that I didn't even know about and am following like 80 more now! You are such a cutie (yep, read that long post "all about me") I'm glad the past is behind you and your future looks bright and shiny! congrats on the scrappy/stampy success, the new boyfriend (who ROCKS) and whatever future opportunities come your way! 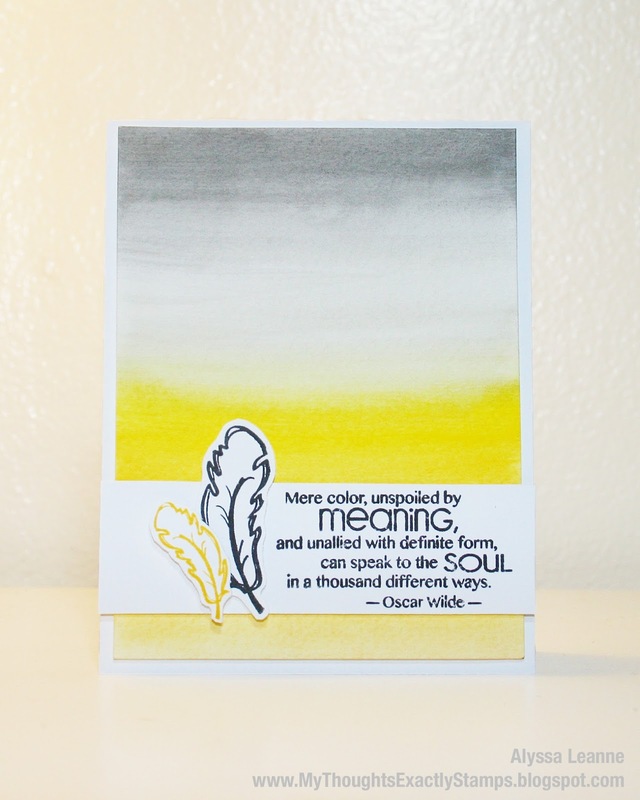 I look forward to all the inspiration you have to offer and seeing your cute projects (love the toliet card!) Hope you have a great day and wonderful 2014!! 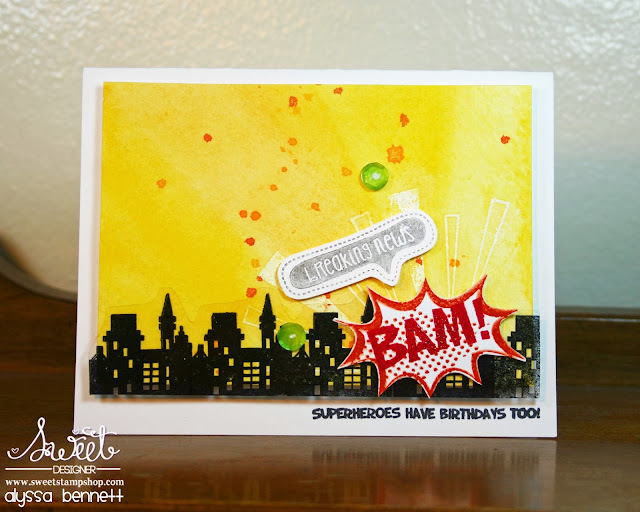 LOVE your fun cards...especially the comic book style BAM one! Lots of great color and awesome design! You are an inspiration in so many ways (I read your first post) and I wish the best to you from here on out! I'm a new follower and so glad to have found you. Thank you for the chance to win! I really enjoy visiting your blog! You are crazy talented and I am so thankful you are willing to share with all of us! New Year blessings! This is fabulous and fun blog hop! Thanks for your giveaway! What a wonderful card line up!! Beautiful!! Just wanted to stop by and wish you a Happy New Year! Glad to have you on the hop! I love the superhero card, that is so awesome! 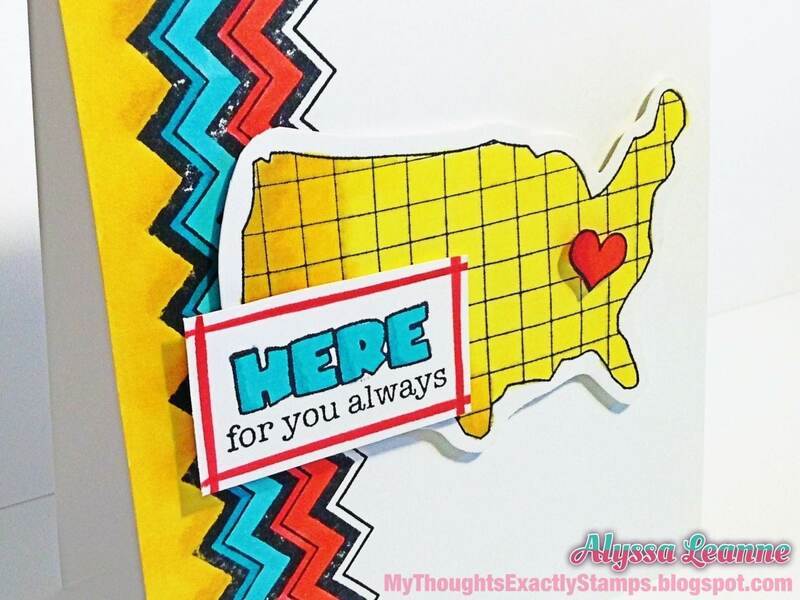 I love the cards you've pulled together in this post Alyssa! I am your new follower. Happy 2014 to you and your loved ones and thanks for your generosity in this giveaway! I'm a new follower and I am happy to have seen your beautiful work! Happy New Year! Love your 32 card and your Oscar Wilde card! Awesome work. :) Happy New Year! Thanks for the chance to win. New to your blog, thanks to the giveaway. Keeping my fingers crossed. Hit he button before I had the chance to say, thank you for the chance to win. Thank you for the fabulous giveaway! I love your pink "32" card! Loved your card review ! Thanks for the chance to win. Awesome prizes….!!! keeping all my fingers crossed! Gorgeous cards! Love your style! Happy New Year!! I love all of your beautiful cards! 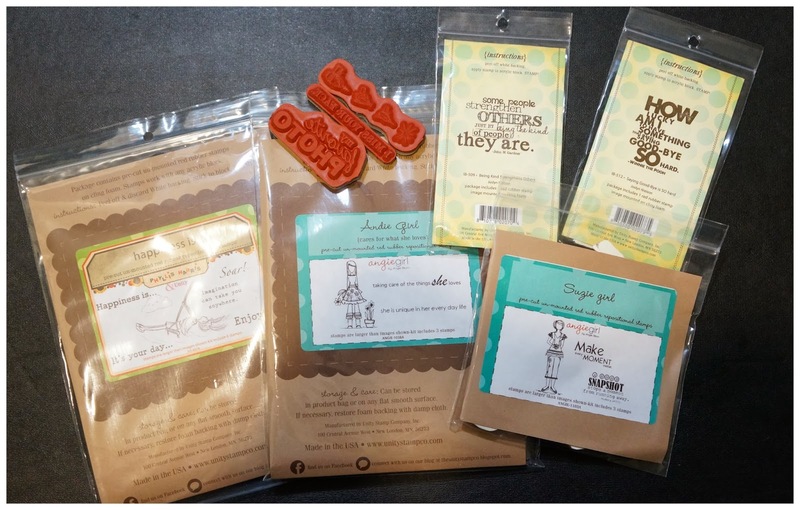 thank you for an awesome blog hop! Love your cards and Unity stamps! Thanks for the chance to win! I enjoyed your cards and the blog hop!!! Thanks for the chance to win your giveaway!! Happy 2014 and thank you for the awesome giveaway! I am so grateful for all the crafting bloggers who share their creations with me! Love your fun cards! Thanks for the hop. Happy 2014! Love your style and bright, bold colors. Happy new year! I really like your style of cards. Thanks for blog hop and giveaway. Wonderful cards...love Kelly Marie's!! I have had a great hop and have come across an overload of inspiration! You are very talented. Really nice giveawat! Thanks so much for participating in the blog hop. It is so much fun. Everyone is so talented and I appreciate the sharing of all the creative people. God bless..